Thanksgiving is a mere two days away. It’s crunch time. I am not hosting Thanksgiving this year and have only been tasked with the job of bringing the cranberry sauce. This is both delightful and a little bit disappointing. On one hand, I have been lusting after all of the wonderful recipes floating around out there. One day I want a reason to make a Turducken. I honestly don’t know if I want to eat it, but I feel like it is something that is on my culinary bucket list. How many meats can we Frankenstein together into a turkey? Sounds like a challenge, and I like a healthy challenge. On the flip side of this thanksgiving hosting conundrum I basically get to show up, pop my cranberry sauce in the fridge, perhaps stir some gravy and then stuff my face with succulent meats and their delicious counterparts. It’s a sweet deal. I haven’t blogged much about my thanksgiving preparations and now you know why… cranberry sauce. That’s it folks. Did I mention that I had to ask if I could bring the cranberry sauce? Yes, that is right… I could have shown up with nothing…or maybe just a four pack of Martinelli’s. I am living a cushy Thanksgiving dream here. We are however hosting Christmas, which seems to be approaching about as subtly as a steam roller. You will most likely hear more from me on this topic. For now I am in a blissful holiday season denial, stirring a pot of boiling cranberries. I have had some time to think up/ogle all of the things that I would LOVE to make if I had my own thanksgiving table and I was a magical hostess. I have spent the past month food perving on some of my favorite food blogs. I know it is turkey day crunch time, but if you are looking for some deliciousness to fill some holes in your line up, let me help you. I am sure you have your turkey, or turducken, or Tofurkey or Quorn log all under control…so we will perv out on sides and desserts. I would love to hear about your thanksgiving and what you are cooking up! Anyone making a Turducken? I want to know more. Give me all the deets. 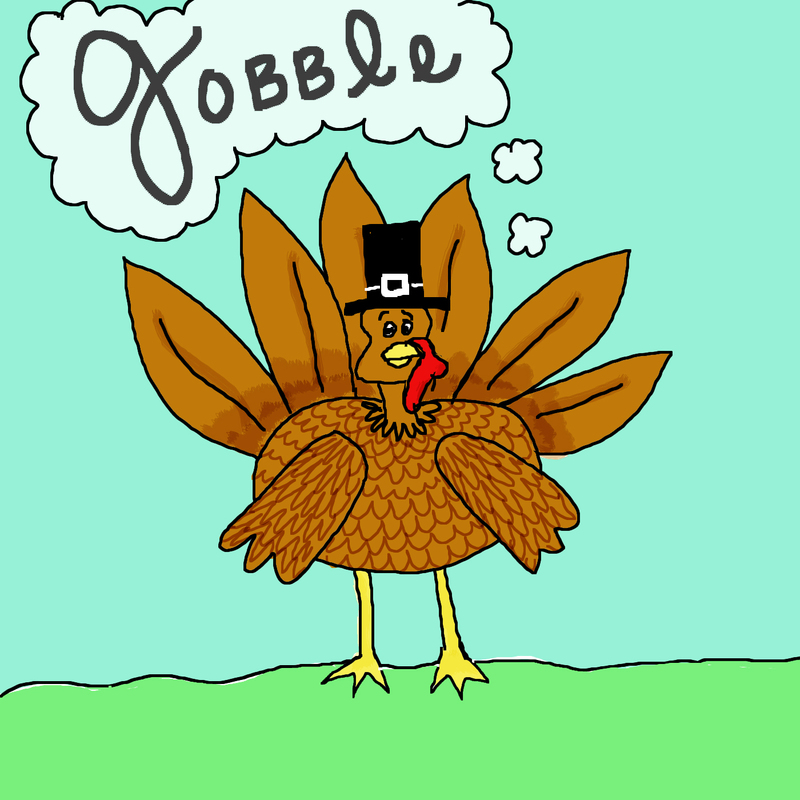 In the words of the hat-clad turkey… Gobble gobble.